Fully modular for your merchandising needs! 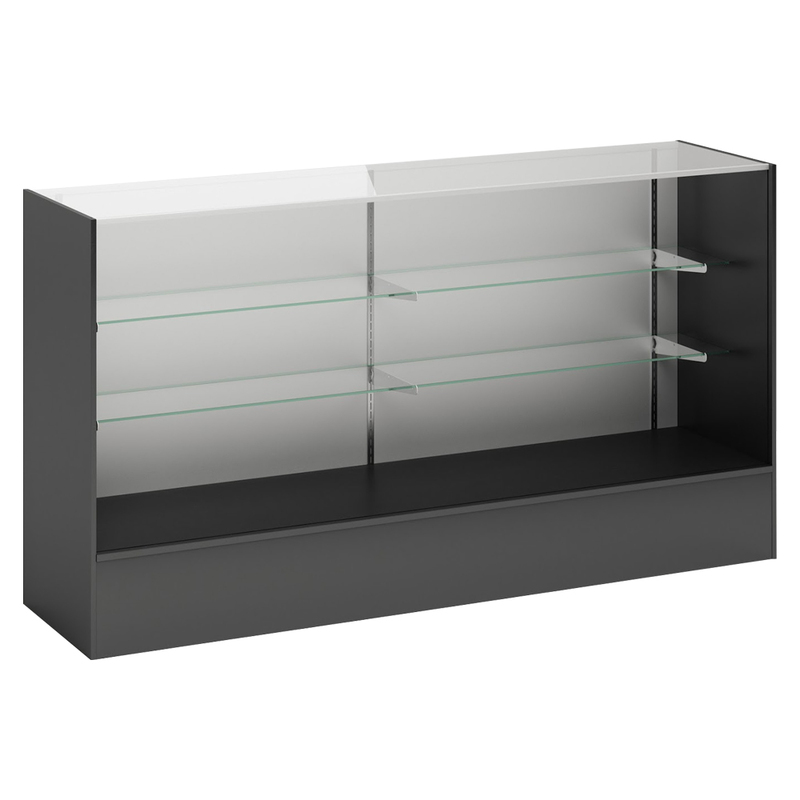 Mix and match our fully modular full vision showcase for retail with other pieces to create a functional service counter. Showcase has 2 adjustable 3/16 in glass shelves, staggered to maximize display space. Shelves are 8 in. and 10 in. wide. Ships assembled. For even more options, we ask you to spend some time to check out our full collection of showcases for retail at Specialty Store Services now.